As the pressure builds in Europe, or more specifically, England, or more specifically London, Westminster, the House of Commons, the Conservative party… You get the the idea, it seems things are heating up on the other side of the world too. This time, it’s in a more literal sense, as temperatures in Australia are currently hitting 45 degrees celsius. Scorchio! It’s so hot, in fact, you can do away with your ovens and hobs. 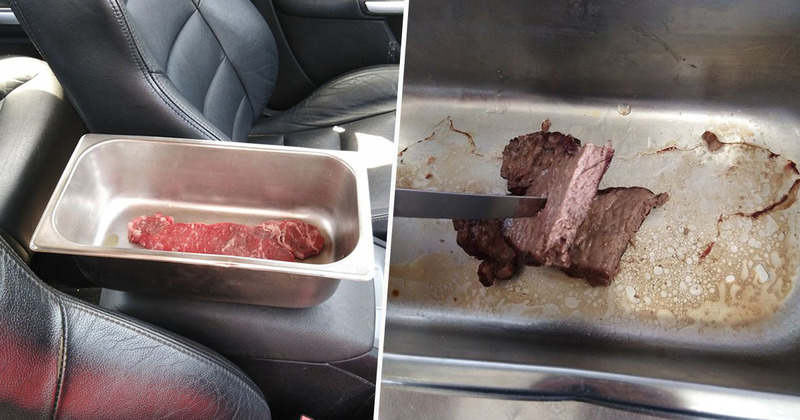 Turns out, you can cook a steak perfectly well, just by leaving it inside your car. 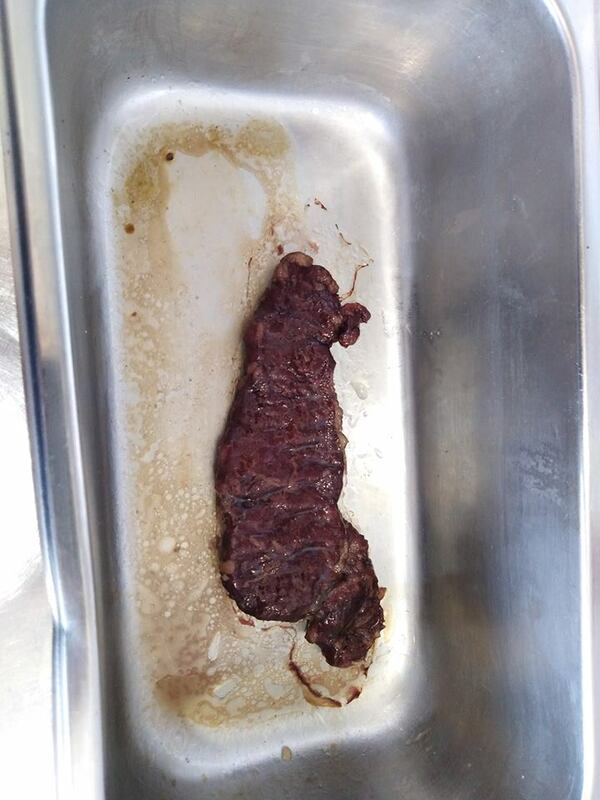 A pub worker left a porterhouse steak in their car, which they parked in the shade at around 11am yesterday (January 15). 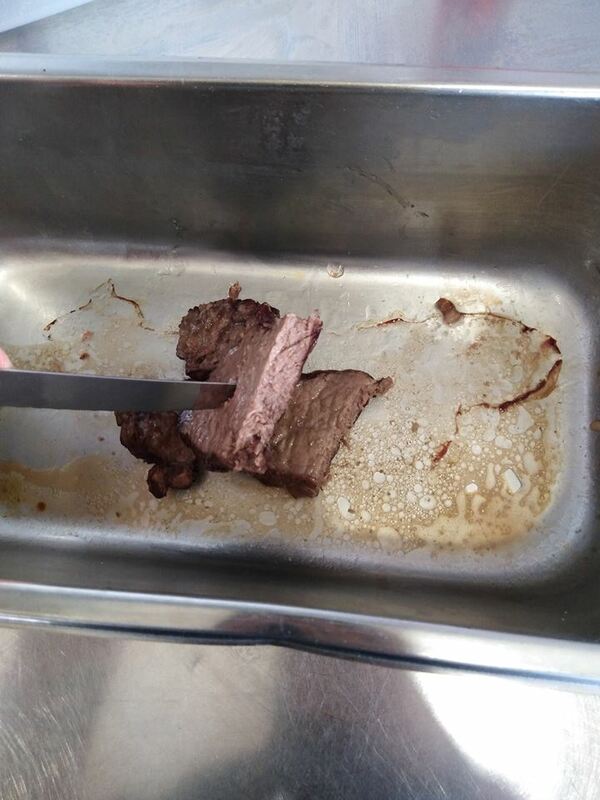 Upon returning to the car at around 4pm, the worker – from the Mildura Dockside Cafe in Victoria – found the steak cooked through, looking a lot more well done than medium rare. Yesterday at 11am I put a porterhouse steak in my car which was parked in the shade and left it until 4 pm.. It was very well done upon my return. With this heat wave please remember never to leave children, elderly or animals in the car. Always check on elderly neighbours, ensure your pets have a way to keep cool and cool drinking water. Also always remember down at Dockside we have plenty of activities to cool you down, yummy cold drinks, great aircon and we are pet friendly out on the deck. According to the Bureau of Meteorology, Mildura, in the north of Victoria, reached a high of 45.8C on Tuesday (January 15), as MailOnline reports. However, some people weren’t convinced by the car’s ability (with help from the sun), to cook a steak so thoroughly. I’m sorry I’m calling bullsh*t. A car left IN THE SUN will get up to about 60 to 70 degrees C inside. In the shade? Nope. Not going to get “well done”. It’s a good message, but don’t take people for fools. I also wasn’t sure what would happen when I put it in there either. I was just as shocked at the result as many others have been. I also believe we’re straying from my initial reason for doing such a thing, I wanted to remind people how dangerous this heat can be and that as a community we should be looking out for one another n keeping each other safe. The NSW government are advising everyone to keep cool in the hot weather, stay hydrated, check on elderly people, and pets, and try to avoid going outside if you can. Guess you could call it Steak Car-car? No? Anyone?